Although pre-employment checks are common, particularly for federal employees in a post-9/11 era, this practice is fast becoming an area of hot litigation. In 2003, the Society for Human Resource Management noted that 80 percent of its members conduct pre-employment criminal-background checks. Employers beware: The EEOC is leading the charge, but the plaintiffs’ bar is not far behind. Because background checking is usually a “systemic practice,” if it is found to be unlawful, the damage exposure could be huge. Some businesses, such as daycare centers, nursing homes, hospitals, nuclear power plants, educational institutions, transportation agencies, law enforcement, and security firms, must be more concerned than others with the safety of their customers. Even without a statutory mandate, the rise in “negligent hiring” claims with large potential damages, along with heightened sensitivity to workplace violence, post-9/11 security concerns, and increased liability of company officials, has enhanced corporate wariness of hiring high-risk applicants. Reliable criminal-background checks can assist employers’ efforts to reduce that risk. Civil-liberties advocates and criminal-justice reformers oppose background checks because they often rely on inaccurate records and reduce opportunities for ex-offenders to make a full and productive return to society. Many state legislatures concerned with employability of ex-offenders are enacting or considering statutes limiting the use of criminal-background checks. For example, Hawaii limits employers’ background checks to convictions within the past 10 years that bear a direct relationship to the responsibilities of the position. It is both conventional wisdom and the position of the EEOC that employers’ use of criminal-background checks may violate Title VII because non-whites are disproportionately represented among those with criminal records. In theorizing why criminal-background checks lead to increased hiring of Blacks, the authors observe: “In the absence of criminal-background checks, some employers discriminate statistically against Black men and/or those with weak employment records.” As another University of Chicago professor suggested, “in the absence of accurate information about individuals’ criminal histories, employers who are interested in weeding out those with criminal records will rely instead on racial and gender proxies.” That is, they are more likely to assume the prejudicial view that non-whites have criminal records, absent the facts. 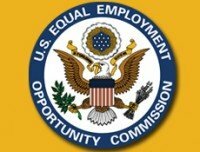 In September 2009, the EEOC filed the lawsuit EEOC v. Freeman Companies (Federal District Court, Maryland), alleging that the company used criminal-background checks to “unlawfully deprive a class of Black, Hispanic and male job applicants of equal employment opportunities.” The case is in the discovery process. (The EEOC filed another case, EEOC v. PeopleMark [Federal District Court, Michigan], with similar allegations.) As further evidenced by its recent lawsuit against the U.S. Census Bureau, the EEOC is leading the effort to curtail employers’ use of criminal-background-check policies. This area of law is evolving. The cases recently filed by the EEOC will likely provide guidance to employers in formulating their policies and practices. Until then, one recent U.S. Court of Appeals (Third Circuit) case sheds some light on where the law is headed. In El v. Southeastern Pennsylvania Transportation Authority, the employer terminated a traditionally underrepresented employee who transported individuals with mental and physical disabilities when the employer’s post-hiring criminal-background check disclosed a 40-year-old conviction (with no subsequent criminal activity) for second-degree murder. The court held that the employer must demonstrate that the criminal-background check is “job related” and that the disqualification is required by “business necessity.” The court ruled that the employer adequately demonstrated the severity of the crime and the heightened vulnerability of its passengers with disabilities. The court implied that some criminal-background-check policies may violate Title VII, although the employer’s policy in this case did not. With the assistance of your legal advisers, know the statutes, regulations and case law in your jurisdiction. There are differences among the states, and between federal law and the states, that must be taken into account in considering workplace screening policies. Review current criminal-background-check policies for consistency with the “business necessity” requirement and the EEOC position. To the extent the EEOC’s position is upheld in the courts, employer policies that take into account the nature and severity of the offense, the length of time since conviction, and the relationship of the offense to the job sought are more likely to be upheld. If necessary, modify pertinent policies and applicant questionnaires to reflect these considerations. Routinely audit applicant/hire files to determine whether your criminal-background-check policy disparately impacts any group. If so, explore the reasons for the disparate impact, and if it is not justified by business necessity, amend the policy and its implementation. If this is an area of particular concern to your business, monitor your local and federal legislative developments, and examine whether your company should lobby on this issue. This area of the law is actively changing, and employers need to be vigilant in monitoring the latest developments and implementing best-practices compliance policies. This is not and should not be relied upon as legal advice; as with any legal question, consult a qualified attorney. Weldon Latham is a senior partner in the Washington, D.C., regional office of Jackson Lewis LLP, chair of the firm’s corporate diversity counseling group, and counsel to the PepsiCo Global Diversity and Inclusion Governance Council and the Omnicom Group Diversity Development Advisory Committee. He is also a professor teaching corporate diversity at the Georgetown University Law Center.